Lovely long diffetent colored turquoise necklace . The turquoises are african blue, arizona green and brown. 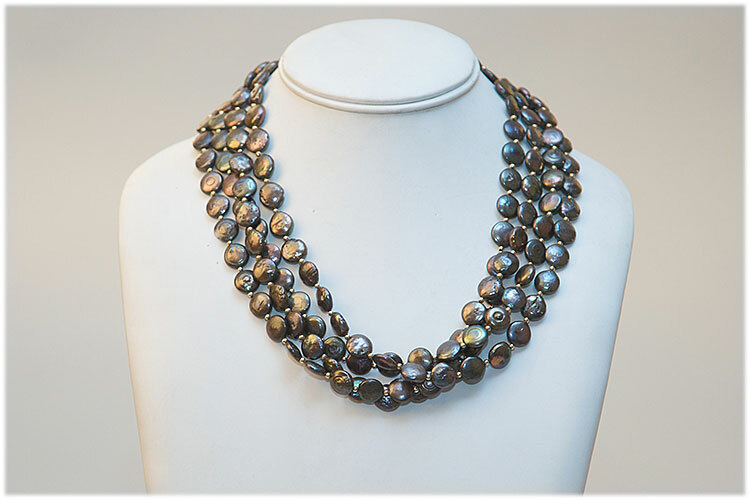 There are brown lava rock beads and they are wired on a sterling silver chain. Measures 48" long. 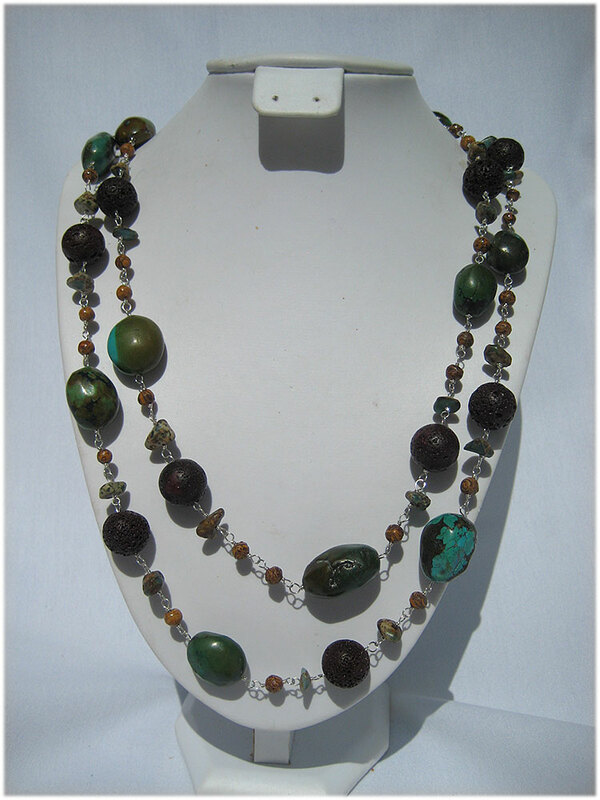 Can be made with other color stones to suit your taste, but I personally like the brown and green hues. 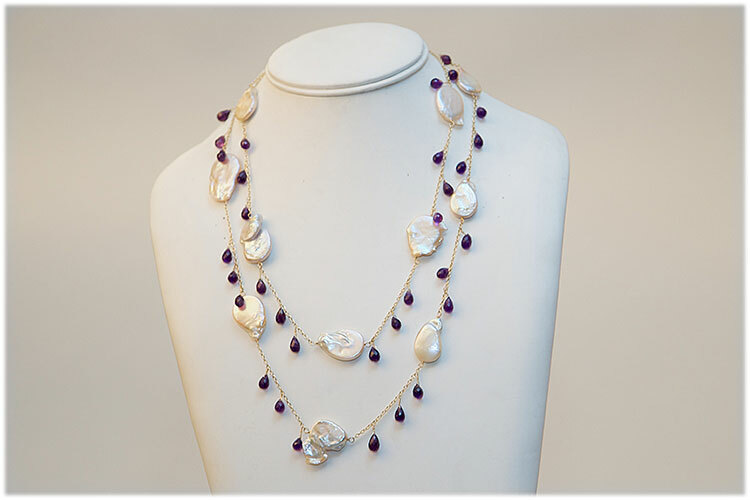 I can also make it with 14 carat yellow gold plated wire. I can make earrings to match according to your taste.